Sam’s parents Natalie and Mat were living in the area at the time of his birth and heard about The Infants’ Home through word of mouth. They were especially interested in the fact that The Infants’ Home had an onsite nurse, accepted children with additional needs and was a mainstream early childhood organisation. Sam joined our program when he was just over a year old. From the start, Natalie, Mat and Sam worked closely with one of our social workers, which Natalie considers a crucial element in their journey. From coordinating Individual Educational Plans with external therapists, sourcing respite services, and just being there to talk to, the added support was instrumental for Natalie and Mat, who had no family in NSW. The collaborative efforts of all relevant professionals and therapists involved in Sam’s development plan enabled everyone to be on the same page and to problem solve as a multidisciplinary team. Sam started school this year with Florence, his friend from Johnson House. 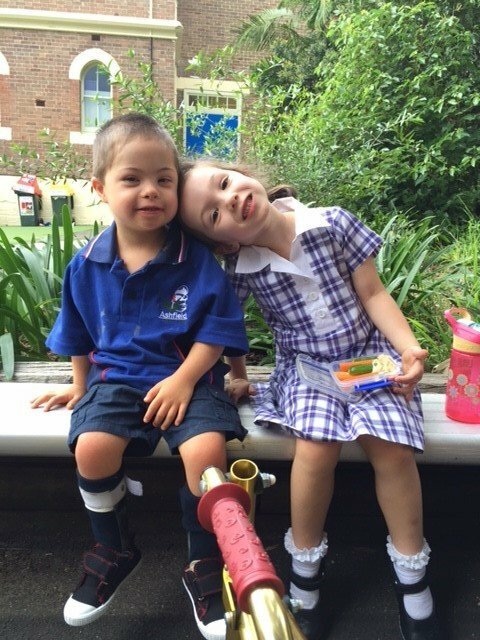 Natalie thinks that despite Sam’s perceived limitations, the integrated services at The Infants’ Home and the dedication of his educators, all helped achieve Sam’s milestones and really model inclusion into mainstream early childhood education and care.